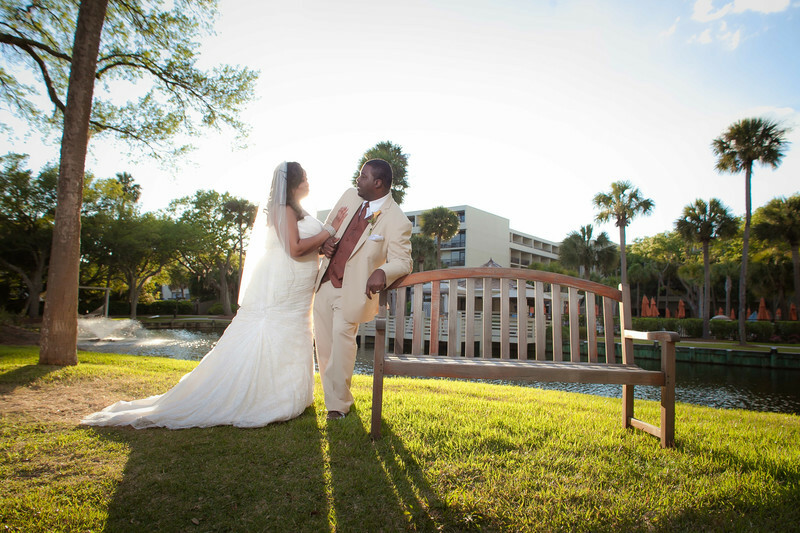 Sunset, over Hilton Head Island's Sonesta Resort, makes for some mindblowing wedding couple images! If there's a sunset, visible during one of my weddings, you can rest assured I'm going to get my bride & groom in front of it! And this was no exception! The stunning fountain, and grounds simply create magic in the background! Location: 130 Shipyard Dr, Hilton Head Island, SC 29928.